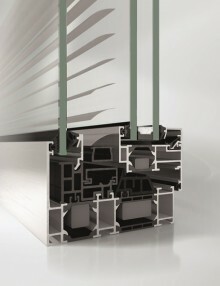 The Schüco AWS 112.IC (Insulation Cover) aluminium window system is the first aluminium window system in the world which meets the stringent criteria of passive house certification. It offers a comfortable room climate through exceptional thermal insulation and an attractive design. 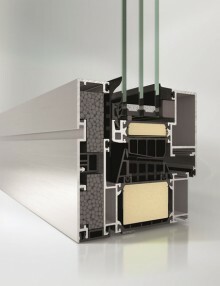 The Schüco AWS 120 CC.SI composite window together with the integrated Schüco Solar Shading CCB is a complete system for energy-efficient building solutions. It offers passive house-certified thermal insulation and solar shading that can be used in any weather. With a barely visible louvre blade stack when the Venetian blind is raised and no light penetrating at the sides when the Venetian blind is lowered, Schüco AWS 120 CC.SI meets high design requirements with its internal and external appearance. 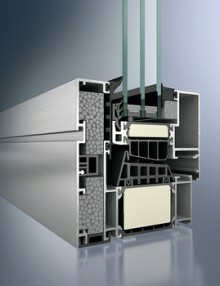 The rapid clip-on installation system of the concealed Venetian blind ensures reliable installation. As an option, demand-led, energy-efficient ventilation concepts can be implemented with an integrated Schüco ventilation system and the Schüco TipTronic fitting.